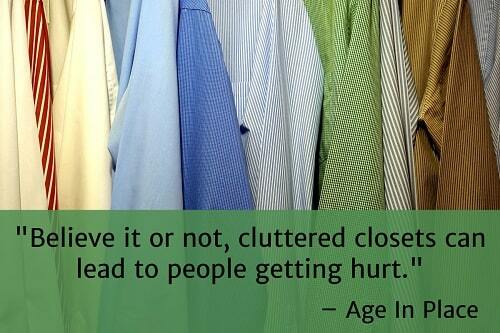 If your elderly parents are living independently or you’re caring for an aging loved one at home, safety is a prominent concern. At first glance, the home may not seem like a particularly dangerous place. 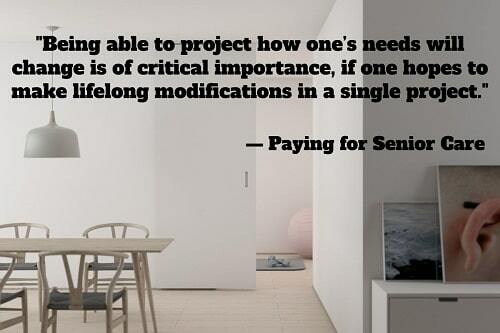 But there are many hidden risks for the elderly around the home, from uneven thresholds or slippery floors that can cause trips and falls to poor lighting conditions and clutter that can make the home difficult to navigate for seniors with mobility challenges. These risks can make it difficult for your aging loved ones to perform instrumental activities of daily living safely. 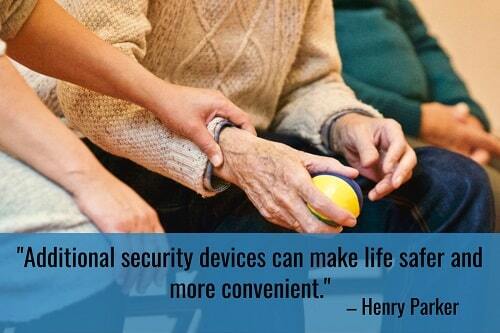 Investing in technology is one good way to enhance the safety of your elderly loved ones. GPS trackers for seniors with Alzheimer’s disease or dementia can make it easy to locate an older adult who wanders or gets lost, and it’s also a good idea to get a cell phone for your aging loved one so they can call for help if needed (as well as stay in touch with friends and family near and far). 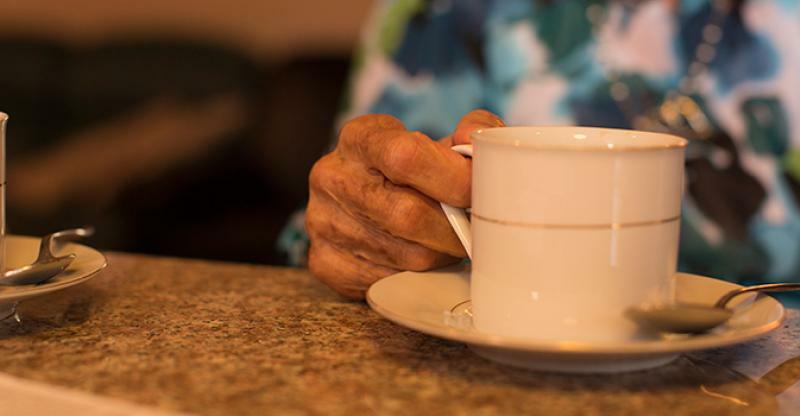 Aside from technology, however, there are many modifications you can make in the home to make it safer and more functional for your elderly loved ones, from the simple and free or low-cost to extensive renovations. 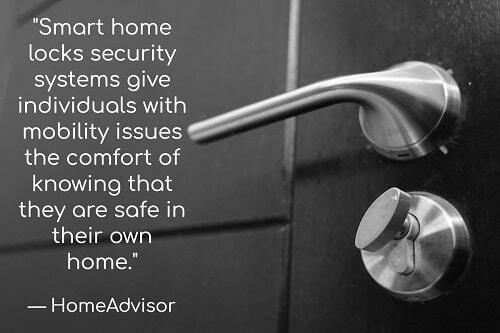 Consider smart door locks and alarm systems to enhance safety. “Smart home locks security systems give individuals with mobility issues the comfort of knowing that they are safe in their own home. A range of products is available. Basic models allow an individual to lock and unlock doors using a smart phone, a convenience for individuals for whom walking across the home to lock and unlock the doors throughout the day can be a challenge. Install a wheelchair ramp in the main entryway. 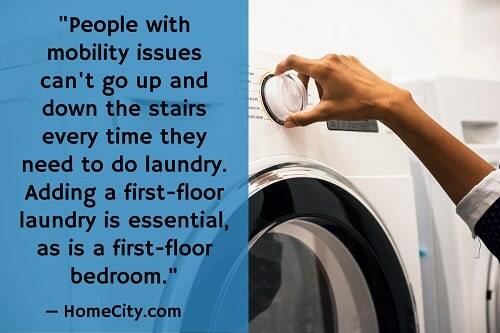 “Putting in a permanent ramp that lets you enter your home using a walker or wheelchair costs about $1,600 to $4,000. When a permanent ramp isn’t possible or is too costly, a portable ramp could be an alternative. A portable ramp to cover a step or threshold at the entrance of a house costs as little as about $60 to up to about $800. 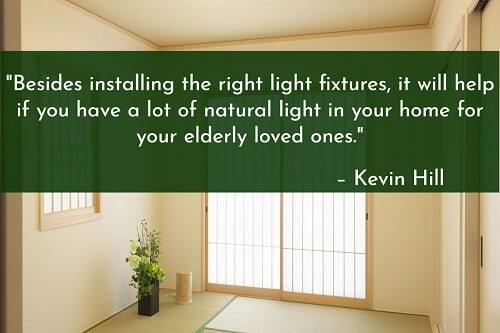 Invest in smart home products to make the home safer and more functional for the elderly. “Technology is a game-changer for remaining independent in your home and staying connected with others, says Erik Listou, co-founder of the Denver-based Living In Place Institute, which trains professionals in the housing and medical fields on accessibility and safety in the home. Sensors can keep a virtual eye on you and your home to improve comfort, security and energy efficiency. 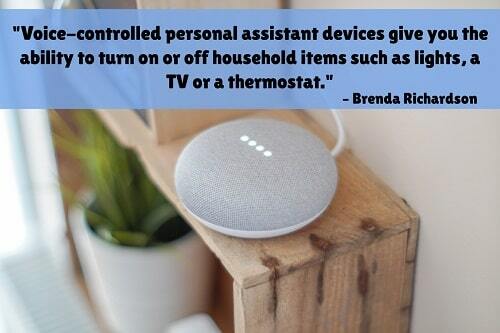 As you move around your home, the devices can report back to a caretaker or a loved one about your daily routine. Widen doorways. 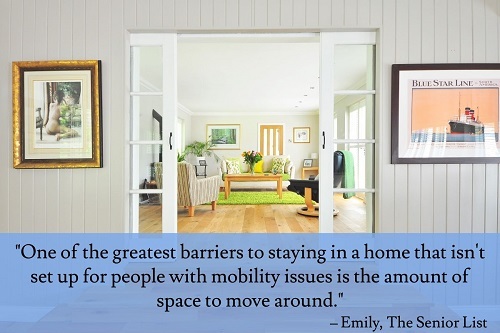 “One of the greatest barriers to staying in a home that isn't set up for people with mobility issues is the amount of space to move around. 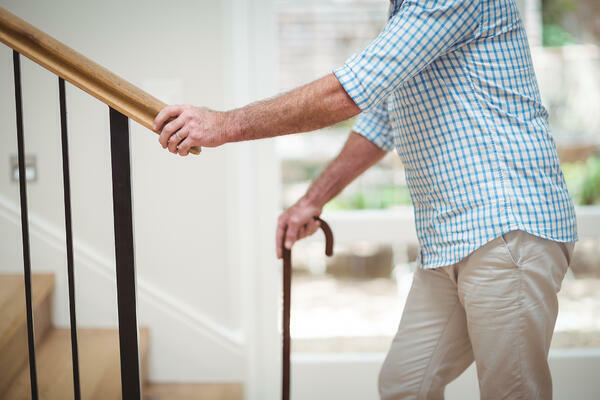 When you start to slow down and need help getting around, you can find that your home doesn't allow movement for more than a person on their own. If you need to use a walking frame, crutches or a wheelchair, door frames and room layouts can turn out to be a bit of a tight squeeze. 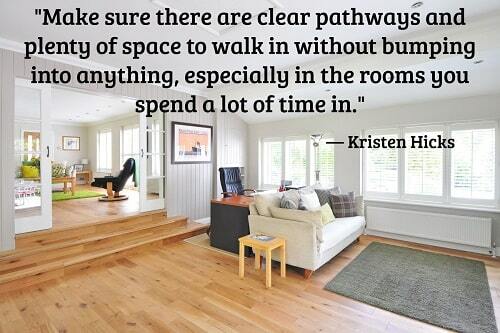 “You might even be having trouble with spacial awareness and need a bit more room to move about. Wheelchairs can be especially difficult. Although they often fit through the door, there isn't always enough room for your hands, which is a disaster if you prefer to push yourself. Install slip-resistant flooring throughout the home. “The type of flooring you have can affect how safe you are in your home. Slick, shiny floors can cause glare and be slippery. 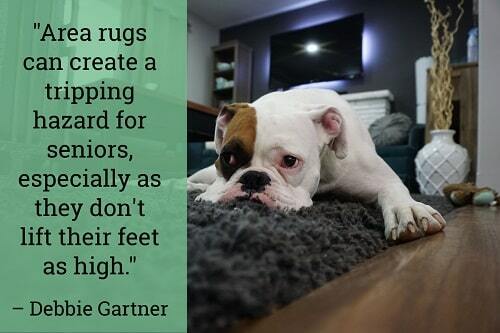 Throw rugs and some area rugs are trip hazards. 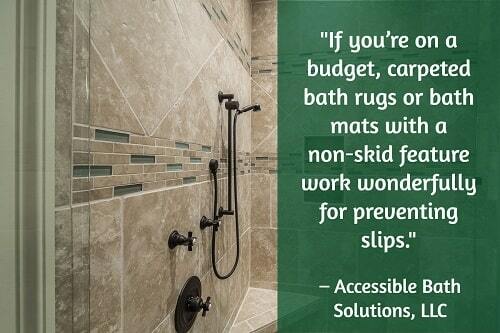 The wrong indoor or outdoor tile can cause slips and falls. “Flooring and coefficient of friction rating (COF). Tile and other flooring materials have a special rating that shows how slip-resistant it is. These ratings are only used in the United States, so tile and flooring coming from other countries may not have it listed. Higher ratings are better than lower ratings. “There should be two different COF ratings listed – static and dynamic. The Static COF should be no less than 0.6, and the Dynamic COF should be no less than 0.42 to comply with the Americans with Disabilities Act (ADA) requirements. Install a home security or home monitoring system. “Because senior citizens are more vulnerable to home invasions, a monitored home security system is a wise investment for any home where an elderly person lives alone. These systems are monitored by a professional service at all times. If the system senses a problem, it alerts the monitoring company, which then contacts the appropriate authorities. 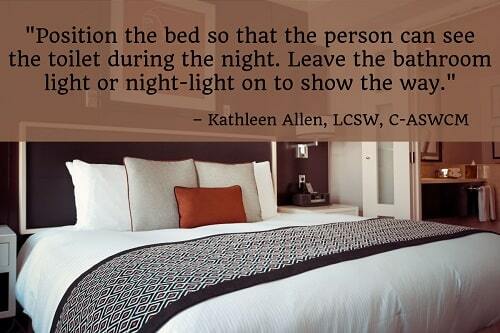 This way the resident won’t have to worry about making the call themselves. “Additional security devices can make life safer and more convenient. A biometric lock on the front door makes it harder for criminals to enter and eliminates the need for the resident to fumble around with keys. A video doorbell lets the resident see and talk with a visitor before opening the door. Add swing-clear hinges to doors. “Narrow doorways could be difficult for walkers and wheelchairs to navigate. 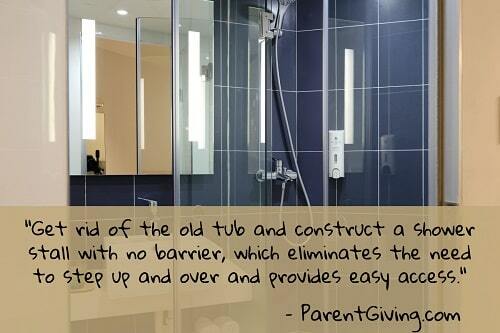 Replacing standard hinges with ‘swing clear hinges’ allows the door to swing completely clear of the door opening. This can add an extra 1.5 to 2” of clearance without widening the doorway. 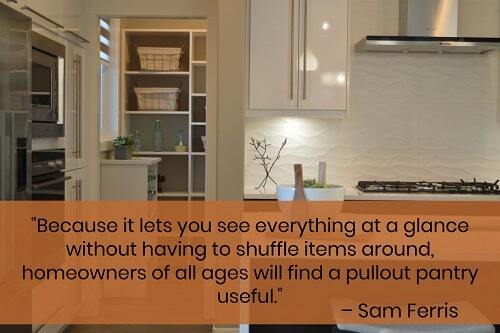 Rethink kitchen storage with accessibility in mind. 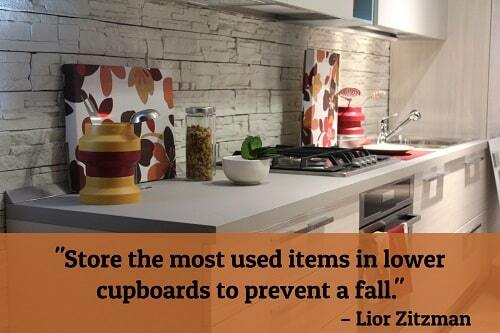 “Adding pullout landing boards of spring-assisted shelving can also help with heavy items. “Think outside the stack, and store dishes and baking sheets on end by adding dowels in your existing cabinets. You can also find ready-made inserts at various home stores. 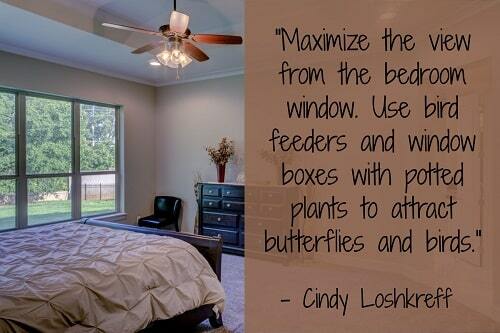 Consider lazy susan trays, full-extension slide shelving, sliding wire organizers, and pull-down shelves as well. 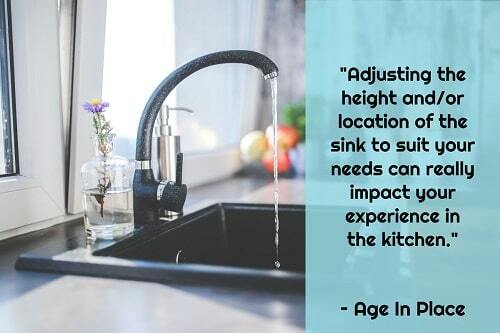 Use contrasting colors for countertops, and consider a lower counter height for wheelchair-bound seniors. 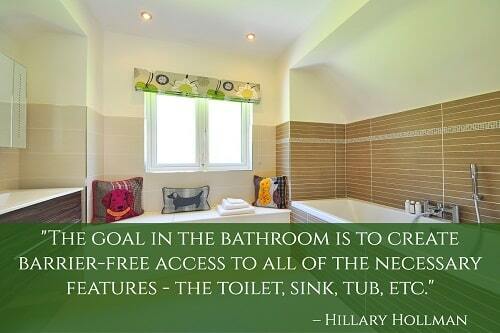 “Choose a countertop that is in a different color from the cabinets. If nothing else, make sure the edges are a different shade. This demarcation will make it easier for weak eyes to spot things. 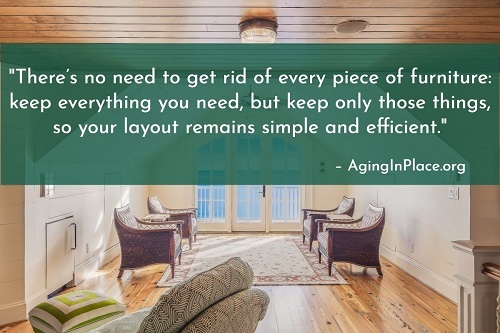 Rearrange your living room layout, keeping only the furniture you need. 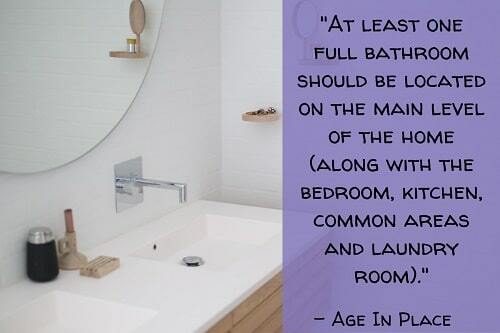 “As you age in place, you’ll want to consider more than just the size of your living room space. Of course, you need enough room and a space that’s uncluttered, but how you lay out that space also affects whether you can safely get around. A coffee table with legs that curve outward, for example, can be a tripping hazard. An end table that’s too far from the side of the couch can mean that you can’t reach what’s there and without risking a fall or strain as you lean over. There are all kinds of problems that can occur from a bad layout. 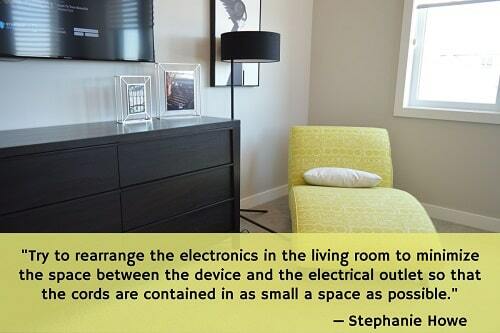 Eliminate low furniture if possible. “For those who use a cane, walker or other mobility device, furniture placement is key to maintaining a comfortable and safe living area. Low furniture, such as coffee tables, stools and ottomans, are particularly troublesome, as they may be hard to see and can easily catch on walkers and other devices as they go by. 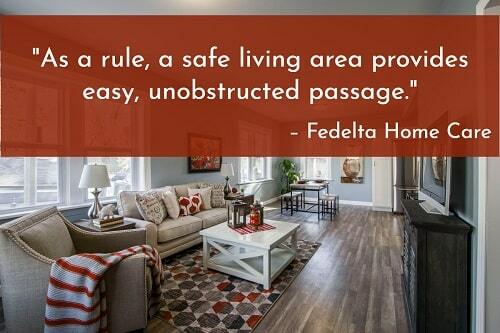 As a rule, a safe living area provides easy, unobstructed passage. 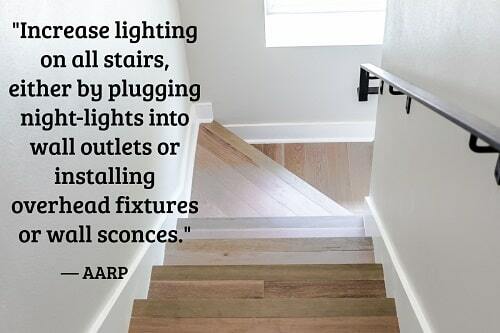 If it’s not possible to have a bedroom on the first floor, consider adding a stair lift. 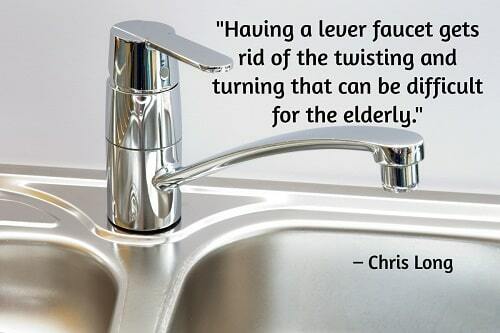 “Almost seven million Americans, many of them seniors, use some type of assistance device for mobility. This may be a cane, a walker, a motorized scooter, a wheelchair, or crutches. For these individuals, stairs and multi-story homes present a serious challenge. 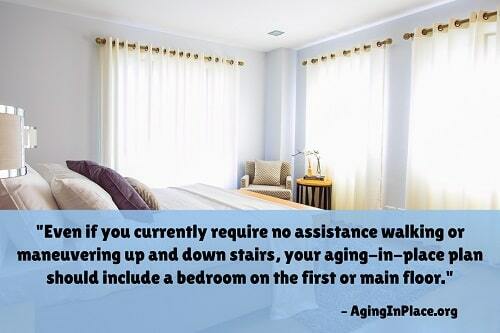 Even if you currently require no assistance walking or maneuvering up and down stairs, your aging-in-place plan should include a bedroom on the first or main floor.